Who knew a sink could be so comfortable? 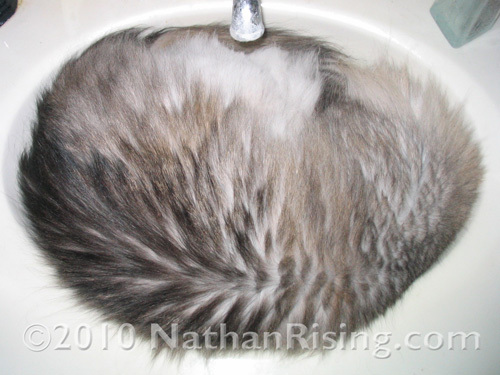 Turbo liked sleeping in the sink before he got too big for it. You guys, I really miss that cat. This entry was posted by Jen on September 30, 2010 at 5:16 pm, and is filed under Pets. Follow any responses to this post through RSS 2.0.You can skip to the end and leave a response. Pinging is currently not allowed. That is so funny! I know you miss him. I know you have wonderful memories. Turbo had a huge personality and lots of funny quirks… I’m glad we have so many great memories of him. He’ll be missed for a long time.